Amsterdam, March 28, 2018 – Current World Health Organization (WHO) guidelines for chronic hepatitis B (CHB) fail to detect half of the patients in need of treatment in Ethiopia, report scientists in the Journal of Hepatology, published by Elsevier. They propose revision of the guidelines to consider local data from sub-Saharan Africa in order to help reach the WHO goal of eliminating viral hepatitis as a major public health threat by 2030. Globally, an estimated 257 million people are living with CHB virus infection. Without timely treatment, one fifth of these individuals will die due to liver damage or liver cancer. In 2015, the WHO issued guidelines for management of CHB, which recommend starting treatment in patients who fulfil certain criteria. Antiviral therapy prevents disease progression and death in patients with CHB, but identification of patients in need of treatment is challenging in low- and middle-income countries. These guidelines are based on data from Europe, America, and Asia. Almost half of the world’s population resides in areas of high hepatitis B occurrence, with the highest prevalence in Africa and East Asia. It has not been established whether the WHO criteria are suitable in sub-Saharan Africa. To test the effectiveness of the WHO criteria in Africa, investigators from Norway and Ethiopia assessed a large cohort of around 1,200 patients with CHB in Ethiopia – a low-income country in east Africa and one of the most populous nations on the continent with approximately 100 million inhabitants. Based on different clinical studies, the overall prevalence of CHB is estimated at 7.4 percent. The consequence of using the WHO treatment criteria in sub-Saharan Africa is that many patients with significant liver disease never receive life-saving therapy. Out of 1190 patients with CHB, 300 (25.2 percent) were eligible for treatment based on the EASL 2017 guidelines and 182 (15.3 percent) based on the WHO 2015 guidelines. Of concern, only half of those in need of treatment were identified using the WHO criteria. After excluding patients in obvious need of therapy (i.e., individuals with visible signs of advanced liver disease), only one quarter of the remaining patients were detected using the WHO criteria. Most patients (94 of 182; 51.6 percent) who met the WHO criteria had decompensated cirrhosis indicating the possibility of a dismal prognosis even with therapy. In an accompanying editorial, Geoffrey Dusheiko, MD, MB, BCh, FRCP, Kings College Hospital and University College London Medical School, London, UK, and Maud Lemoine, MD, MSc, PhD, Department of Surgery and Cancer, Liver Unit, St Mary’s Hospital, Imperial College London, UK, question whether it is judicious for low-income African countries to prioritize hepatitis B virus (HBV) antiviral treatment for individuals with advanced fibrosis and cirrhosis, as in the WHO criteria. They argue that patients on the African continent who test positive for hepatitis B surface antigen (HBsAg) should have more widespread access to measurement of serum HBV DNA and serum aminotransferases, outside of urban centers, in order to match eligibility for treatment applicable in other regions of the world. 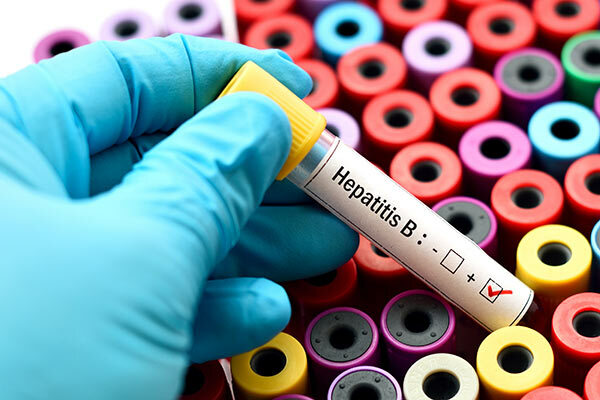 This Ethiopian study combined with other recent studies from West Africa represents an important opportunity for the WHO and African countries to formulate appropriate guidelines for the management and treatment of hepatitis B in Africans. Girmay Medhin; Svein G Gundersen; and Asgeir Johannessen (http://dx.doi.org/10.1016/j.jhep.2019.01.037) and “An appraisal of the WHO hepatitis B treatment guidelines applicable to Africans,” by Geoffrey Dusheiko and Maud Lemoine (https://doi.org/10.1016/j.jhep.2019.03.009). They will appear in the Journal of Hepatology, volume 70, issue 6 (June 2019) published by Elsevier. Full text of these articles is available to credentialed journalists upon request; contact Carolien van der Zanden at +31 20 485 3346 or hmsmedia@elsevier.com. Journalists wishing to interview the study authors should contact Asgeir Johannessen +47 97983264 or johannessen.asgeir@gmail.com. Geoffrey Dusheiko may be reached for comment at +44 797 714 7834 or g.dusheiko@ucl.ac.uk. The hepatitis B program at St. Paul’s Hospital Millennium Medical College was established in 2015 in collaboration with Oslo University Hospital and Addis Ababa University. The study was funded by The Norwegian Research Council, grant number 220622/H10, and the South-Eastern Norway Regional Health Authority, grant number 2011068. Elsevier is a global information analytics business that helps scientists and clinicians to find new answers, reshape human knowledge, and tackle the most urgent human crises. For 140 years, we have partnered with the research world to curate and verify scientific knowledge. Today, we’re committed to bringing that rigor to a new generation of platforms. Elsevier provides digital solutions and tools in the areas of strategic research management, R&D performance, clinical decision support, and professional education; including ScienceDirect, Scopus, SciVal, ClinicalKey and Sherpath.